The CIS High School Scholarship Program has these goals in mind, as the school pushes forward into the future. Success breeds success, and CIS understands that better and brighter students, striving for perfection, serve to strengthen us as a school of note in India and South East Asia. ** The CIS Scholarship Program is available to all new applicants to CIS for Grade 9 (IGCSE) and Grade 11 (IB). ** Candidate must have a minimum 80% in previous Grade or equivalent for the IB program. For the IGCSE program, candidate must have a minimum 85% in previous Grade or equivalent. ** Students whose fees are paid by parents’ companies cannot be considered for Scholarship Program. Just follow the below steps to apply for the IGCSE/IB Scholarship Program 2019. Step 1 : Go to the official website of Canadian International School Bengaluru through provided above. 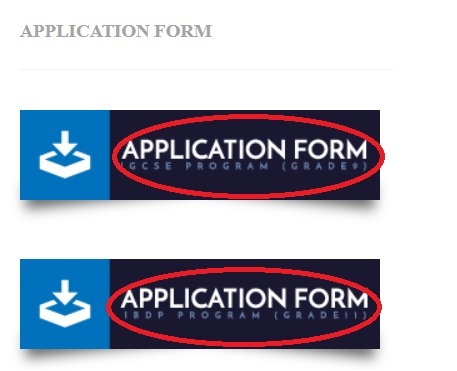 Step 3 : Alternatively, you can scan the application and accompanying documents and send everything as an attachment to scholarships [AT] cisb.org.in. ** Grade 9 final and the most recent Grade 10 reports for the IB program. ** Grade 7 and the most recent Grade 8 reports for the IGCSE program. ** Essay (not more than 600 words) reflecting evidence of financial need, personal achievements, leadership skills, contribution to community service. ** Applications will be initially screened for eligibility. ** Eligible candidates will be notified on Monday, January 25th, 2019 for both the IGCSE and IB scholarship. ** Those candidates will then be required to appear for a written test in English, Mathematics and anyone Science of the applicant’s choice. ** Candidates will also appear for an interview with the committee on the same day. Time of Test : 9.00 a.m.
** Awarding of scholarship does not guarantee enrolment. Students must complete all admission formalities before enrolment and scholarship can be confirmed.